speakeasies, settlement houses, blues clubs, storefront churches, employment bureaus, and training centers of Prohibition- and depression-era Detroit. There, she explores the wide range of black women's experiences, focusing particularly on the interactions between working- and middle-class women. 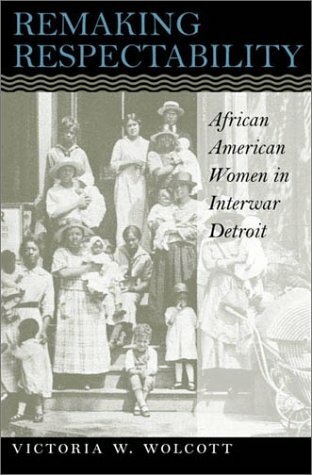 As Detroit's black population grew exponentially, women not only served as models of bourgeois respectability, but also began to reshape traditional standards of deportment in response to the new realities of their lives. In so doing, Wolcott says, they helped transform black politics and culture. Eventually, as the depression arrived, female respectability as a central symbol of reform was supplanted by a more strident working-class activism.